When you reach the end of your contact, there’s no need to upgrade to a brand-new phone if you don’t want to. With a SIM only deal, you can keep your current phone and pay a monthly fee for a deal that includes a certain amount of data, texts and calls without a fee to pay for a phone. Here, we take a look at some of the best SIM only deals that are available right now. Currently the network Three is the leading company when it comes to SIM only contracts. Three offers a twelve-month deal with unlimited minutes and texts and 4GB of data for £9 per month with no upfront fee. Alternatively, you can opt for Three’s deal with 30GB data; this contract costs £18 per month and offers 600mins with unlimited texts. These two deals come with a standard SIM. 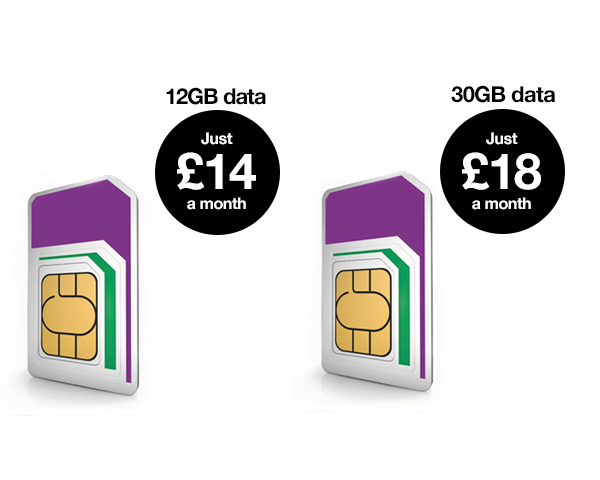 3 also offers a deal with a Nano SIM that includes unlimited minutes, unlimited texts and unlimited data for £29 per month. All of Three’s deals provide WiFi on the London Underground. iD mobile is currently offering the most affordable SIM only deals of any provider. iD mobile offers the cheapest SIM only deal currently available in the UK; this 30-day contract costs £3.99 per month and includes 500MB of data, 500mins and 5000 texts. iD mobile also offers the least expensive SIM only deal with 1GB of data. This 30-day contract also includes 500 minutes and 5000 texts and costs £5 per month. This deal is better for those who fear they may accidentally exceed the lower data limit provided by the first iD mobile deal. Vodafone’s twelve-month SIM only deal offers 20GB of data and unlimited calls and texts for £11.75 per month (this price is after £99 cashback). Your allowances are available to use abroad for free in 50 countries. Also as part of the deal, you can choose between fee access to Now TV, Spotify premium or Sky Sports Mobile. 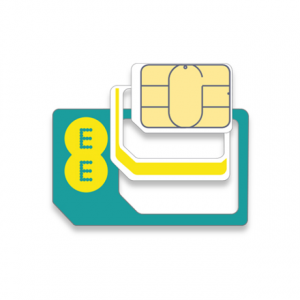 Everything Everywhere (EE) offers a few SIM-only deals. One, for instance is a 12-month contract gives you 2GB of data with 1000 minutes and unlimited texts for £16.19 a month. It’s one of the pricier deals for what it offers, although EE is the UK’s fastest 4G network. O2’s best SIM only deal is a 12-month contract with 10GB of data and unlimited calls and texts for £19 per month. This is at the high end for SIM-only prices, but O2 also provides a loyalty system which gives you cheaper coffees and lunches and easier access to show tickets. How Do I Know Which Deal is Best for Me? Which SIM only deal you choose will depend on your personal priorities and also ability to pay. If you’re looking for the cheapest deals, Three offers the most options of affordable SIM only contracts. If you’re looking for the best all round deals, Three’s deals are generally what you should go for. Most of these deals come with a standard size SIM because that’s the size used in most mobiles. But if your own phone uses a Nano SIM, you of course need to choose a deal that comes with this SIM size. Of the ones on the list, only 3 offer a contract with a Nano SIM. Generally, the twelve-month plans offer better value for money. You should only opt for one of the shorter length plans listed here if you value the flexibility of being able to change your phone contract every month. Most customers will be suited to a twelve-month plan. Paying for plans with a large amount of data is only necessary if you often use your phone for data heavy things like YouTube videos when out and about in places without WiFi. Although be warned, it can be easier to accidentally exceed your data allowance if the allowance is low, and doing so can incur heavy fees. It is generally advisable to go for an intermediate data package such as 1GB of 3G or 4G data, unless you plan to rely on data a lot. If you use free internet messaging services such as Facebook Messenger or WhatsApp, it might be worth saving money by not choosing a plan with unlimited texts. Similarly, unlimited calls can also be unnecessary if you tend not to make voice calls very often. On the other hand, a businessperson who needs to make lots of calls on the go would be better opting for unlimited minutes. Don’t forget to check that the plan you sign up for offers coverage in your area. This can be checked online. It would be very frustrating to sign up to a plan only to realise that it won’t cover the area where you’ll be spending most of your time.